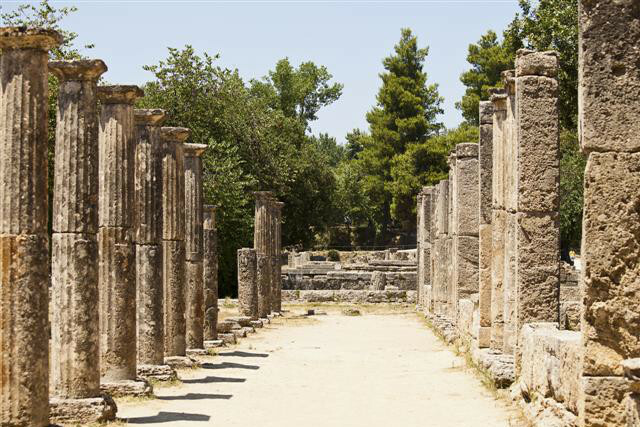 What would a trip to Greece be without a visit to the world of classical antiquity. 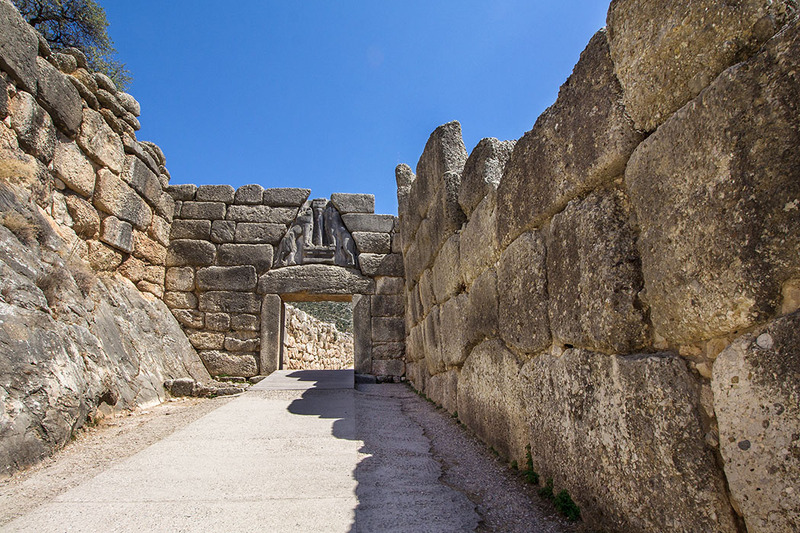 Starting from Sergoula, you can take day-trips to some of the most important sites of greek history: Delphi, Olympia, Ancient Corinth, Mycenae and Epidauros. 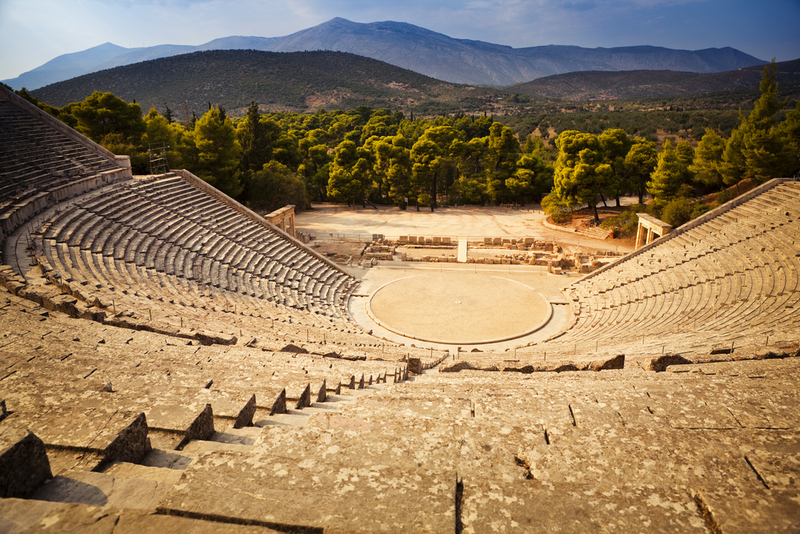 Don't forget Athens with the Acropolis, the lively Plaka (old town), the national museum and the Acropolis museum with unique treasures from antiquity. Many of our guests also decide to visit the more distant monasteries of Meteora – for this visit you have to schedule an overnight stay on the way. Paralia Sergoulas offers you – no matter the time of the year – many possibilities to create your personal program (be it bathing or art or culture) and to discover the many "faces“ of Greece. 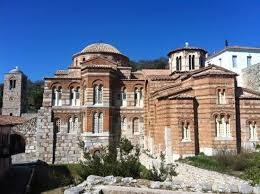 Monastery Hosios Lukas near Delphi. 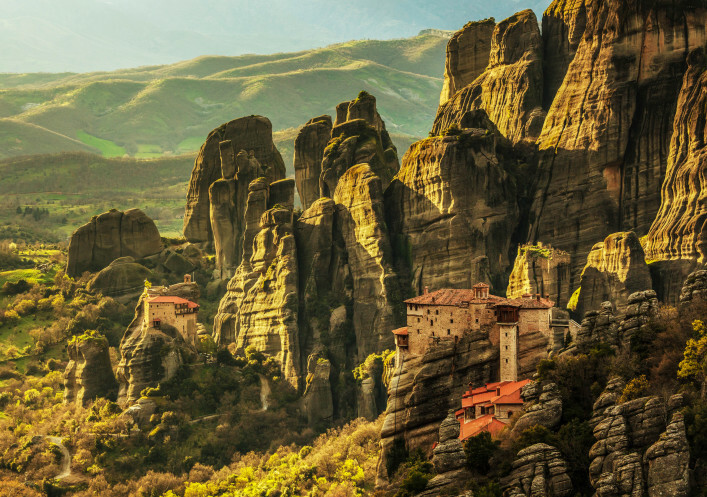 Monasteries of Meteora in northern greece. 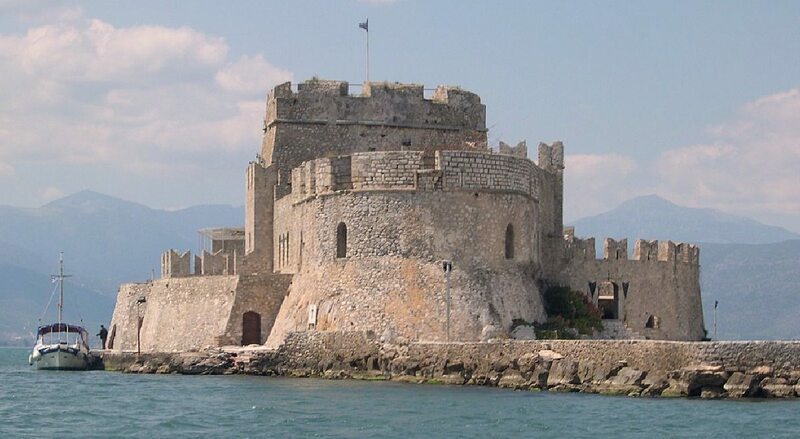 Nafplio - Water castle Bourtzi . 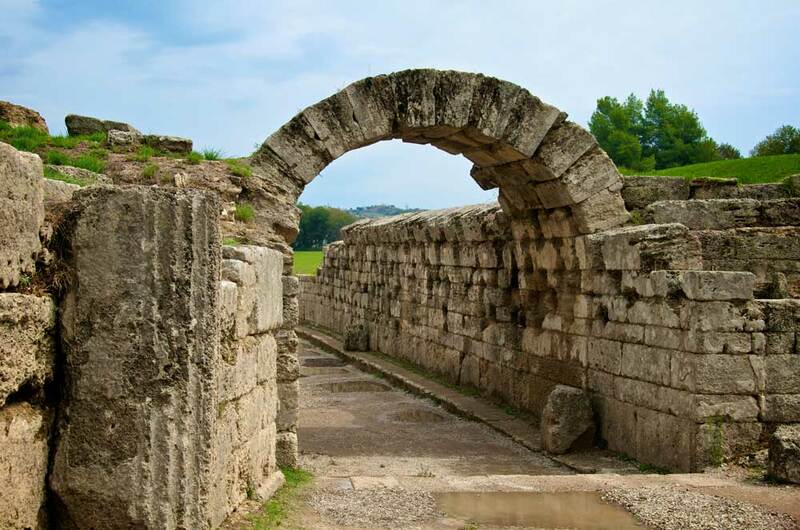 Olympia, entrance to the stadium.